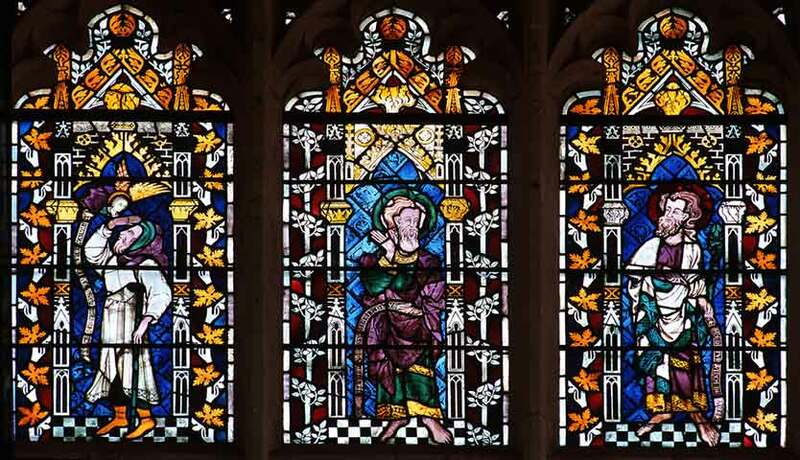 Abraham, Moses and Isaiah, window in Exeter Cathedral created by "Master Walter" in 1304. So Moses and Aaron went out from Pharaoh, and Moses cried to the Lord about the frogs, as he had agreed with Pharaoh. And the Lord did according to the word of Moses. The frogs died out in the houses, the courtyards, and the fields. And they gathered them together in heaps, and the land stank. But when Pharaoh saw that there was a respite, he hardened his heart and would not listen to them, as the Lord had said. Most of us have known someone like Pharaoh. They want you to do something for them, and they promise to do something for you in return. And then, after you have done your part, they say they have changed their mind. In Pharaoh's case, the biggest motivation for his dishonesty is pride. Notice that Moses does not say, "The frogs will go away so that you will let the Hebrews go worship," but rather, "so that you may know that there is no one like the Lord our God." 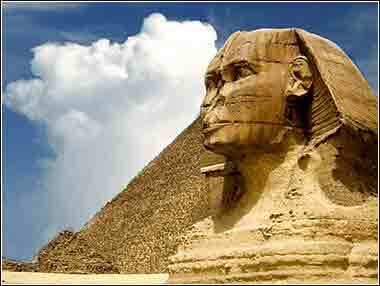 If there has ever been a prideful person on earth, it was a pharaoh of Egypt. They were more than absolute monarchs; they were demigods. They believed that their very nature was superior to others. Moreover, they were not accustomed to honesty; they were above laws. Their will was higher than any law, any contract. But here, there is more at stake than simply adherence to a contract. Moses seeks to make Pharaoh admit that the god of this abased tribe of slaves is greater than Pharaoh himself, something that he has never encountered or even recognized as a possibility. And Moses is making some headway: Pharaoh has clearly lost some measure of confidence in his magicians, and he asks Moses to plead with Yahweh to take the frogs away. But pride is a resistant fault in all of us; and the pride of the King of Egypt is — literally — monumental. Ephesians 2:19: Now, therefore, you are no longer strangers and foreigners, but fellow citizens with the saints and members of the household of God.